This theme works because the eight letters in PHONETIC are all different and the eight code words spelling out PHONETIC can be placed symmetrically in the grid. I also had fun writing some of the clues, especially the T.S. 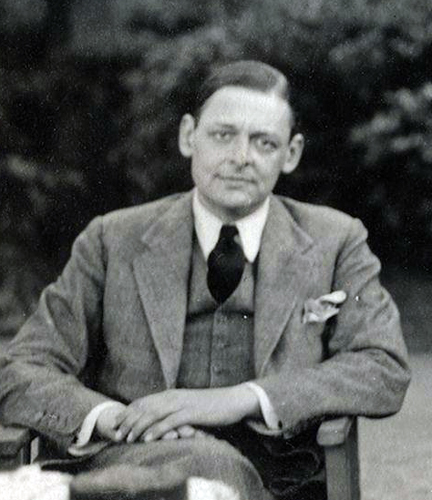 Eliot quip. David uses the NATO PHONETIC alphabet today, working in every one of the eight words spelling out PHONETIC. Not easy to incorporate eight answers into a single grid — nine actually, counting PHONETIC! What a cool, fortuitous coincidence, that all nine words could be placed to exhibit crossword symmetry. And what nice intersections of TANGO and NOVEMBER, and OSCAR and PHONETIC — in symmetrical locations! I've highlighted the nine words below. Touch of elegance. Impressive how clean David executed on his grid, considering how many words he needed to work around. Okay, CDEF is pretty egregious — although it does technically start the C major scale, no musician would play just those four notes. (Try singing them to a musician to see him/her writhe, waiting for that G resolution. It's amusing.) But other than that, there's only a minor EDO, EST, APPT, etc. Not bad at all, considering those big chunks of white space he worked with in the upper right and lower left corners. Nice ELBA clue. Idris ELBA is an impressive actor, stunning in his role on "The Wire" and pretty darn captivating in "Pacific Rim." Great for us constructors to have a new way to clue the isle of Napoleon's exile. Interesting concept today, but I would have liked a more powerful punch at the end. PHONETIC revealing P H O N E T I C jumbled up seemed like there was some potential left on the table — the NATO phonetic alphabet seems ripe for more crossword creativity. Puzzle has 8 fill-in-the-blank clues and 4 cross-reference clues.